A partnership between Care UK and Suffolk County Council (SCC) is beginning to bear fruit with two of its 10 homes now having been rated Outstanding by the CQC. Cleves Place care home in Haverhill joined Mildenhall Lodge in Suffolk in gaining the CQC’s top rating following an inspection in April. All of the remaining eight purpose-built homes that were built by Care UK with Castleoak under the deal struck with SCC in 2012 have been rated Good. As part of the agreement with SCC, most of the 10 homes boast a day centre for the local community. The day centre at Cleves provides activities and meals for local people five days a week, as well as hosting local group meetings and providing a place where the home’s residents can mix with the local community. Having visited Mildenhall and Cleves Place it was clear for CHP to see that the Suffolk homes benefit from a cohesive approach to providing high quality care which is co-ordinated by Regional Director Philip Steyn. 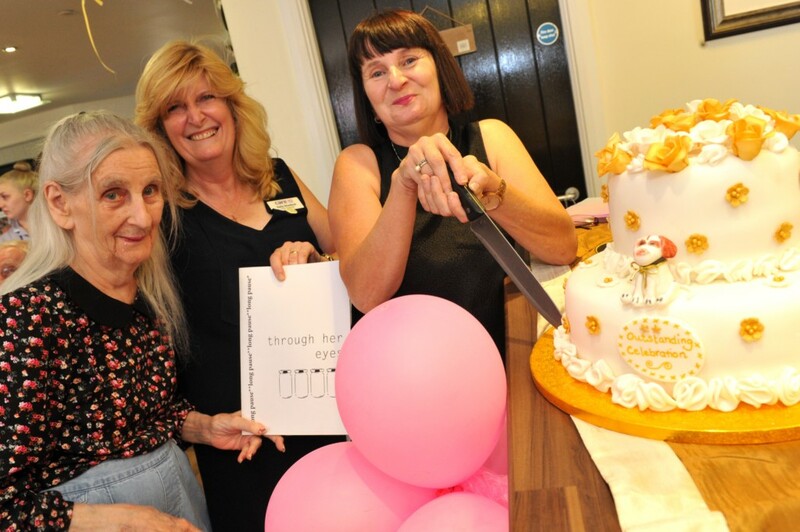 CHP was in attendance, along with residents and staff from Care UK’s other nine Suffolk homes, for the celebrations to mark Cleves’ achievement. Cleves Place is run by Sally Shadbolt. Sally has spent 14 years in the care sector, working previously as a home manager with Prime Med, before it became Healthcare Homes, and Kingsley Healthcare. She joined Care UK in 2014. Speaking to staff during celebrations of the home’s CQC rating, Sally said: “This day would never have come about if it was not for everyone of you who has contributed to this home being so special. In its report, the CQC noted how staff at Cleves had been inspired by Sally to deliver a high quality care service. Sally explained to CHP how staff were motivated and empowered to take on responsibility in the home by giving them the chance to champion different aspects of care such as falls and dementia. The CQC highlighted the “exceptionally personalised” level of care provided by the service which is led by Sally. 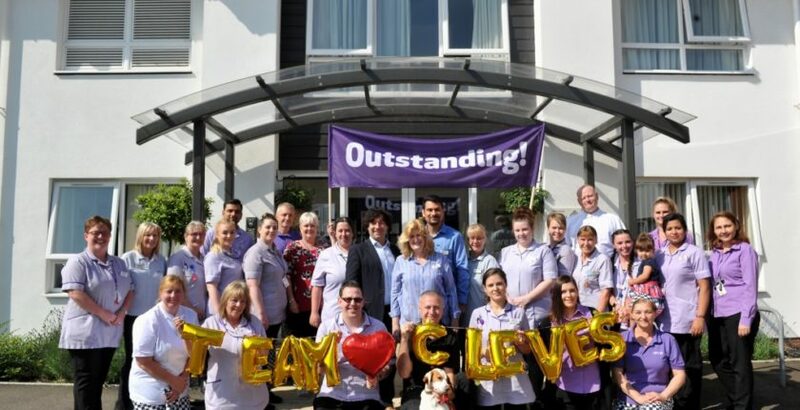 Cleves Place was awarded Outstanding in both the Caring and Responsive categories and touring the home it was clear to see how Sally and her team achieved this. CHP saw numerous examples of how Sally and her team provide a highly responsive and individualised level of care. Personal touches led by Sally, include vintage signage displayed on staff and resident’s doors around the home. Colourful murals painted by the staff adorned stairways. Sensory hand items, such as stress balls, were placed conveniently on hand rails around the home which cares for people with early to advanced levels of dementia, as well as providing nursing and respite care. Cleves also boasts a lovingly decorated vintage bar, shop and gentleman’s club room, complete with pool table. A Wishing Tree in the home’s reception room helps provide unique and individualised activities ranging from meeting a white Alsatian dog to a trip to the local pub for steak and chips. Sally has created a warm and homely atmosphere around the home by using antique furniture which she has painstakingly selected on shopping trips in the local area. She explained to me how she had been inspired to buy a rocking chair to help calm one resident with advanced dementia who restlessly paces around the home. Sally said the chair had worked wonders in helping to calm the resident’s mood. The CQC praised the level of personalised activities at the home where residents are regularly taken out on trips to the seaside, theatre or local towns in Care UK’s regional fleet of four minibuses. Barbara shared the trauma of having her mother admitted at Cleves initially for respite care after her father had fallen ill and was no longer able to look after her. She powerfully described the emotional rent of leaving her mother for the first time after she had asked when she was going home and then the enormous relief of hearing later in that day that she had settled in beautifully and had already had her nails done. Before and after photographs at Cleves of Sylvia when she was admitted to the home and a few weeks later powerfully demonstrated the transformation in her health and well-being brought around by Sally and her staff. The first shows Sylvia looking gaunt, scared and frail, weighing just six-and-a-half stone; the second shows Sylvia looking well and happy having gained more than two stone in just a few weeks. Sylvia’s story is a powerful testimony to the great service provided by Sally and her team for their residents and families, so it’s fitting to leave the last words to Barbara.